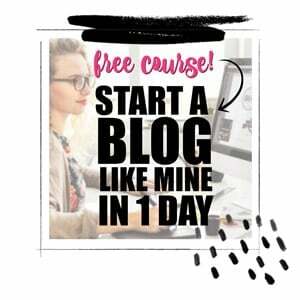 Know what’s scary? When you compare yourself to other moms. Forget that. 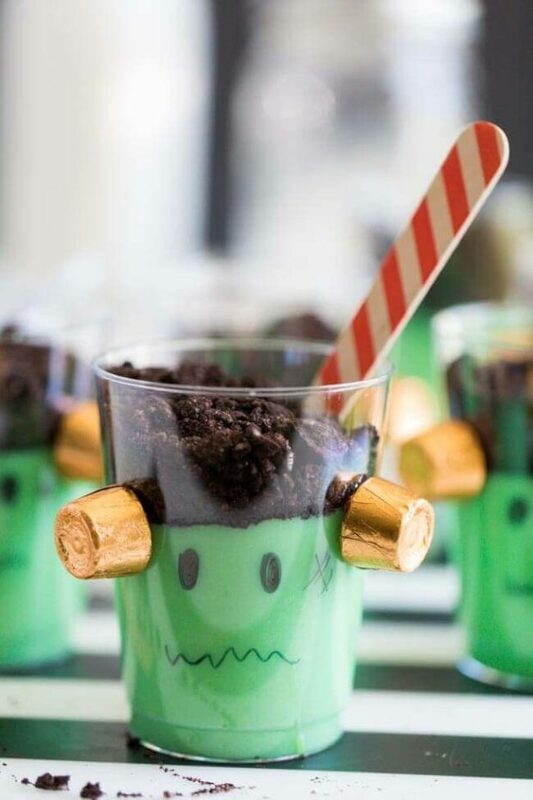 To make a fun Halloween memory for the kids, make these cute Frankenstein Pudding Cups. Thanks for the recipe and thanks for sponsoring this post, Imperial Sugar! Even if you got up this morning and realized you have done nothing to celebrate Halloween, it’s not too late. I hate to tell you, you do not have a ghost of a chance of decorating the whole house…but who needs to decorate the whole house? 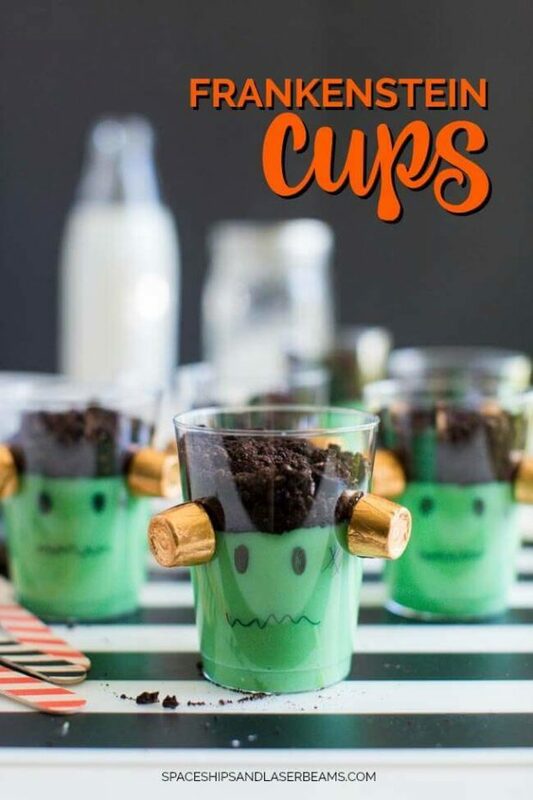 Fly into the kitchen and whip up these not-too-scary pudding cups. 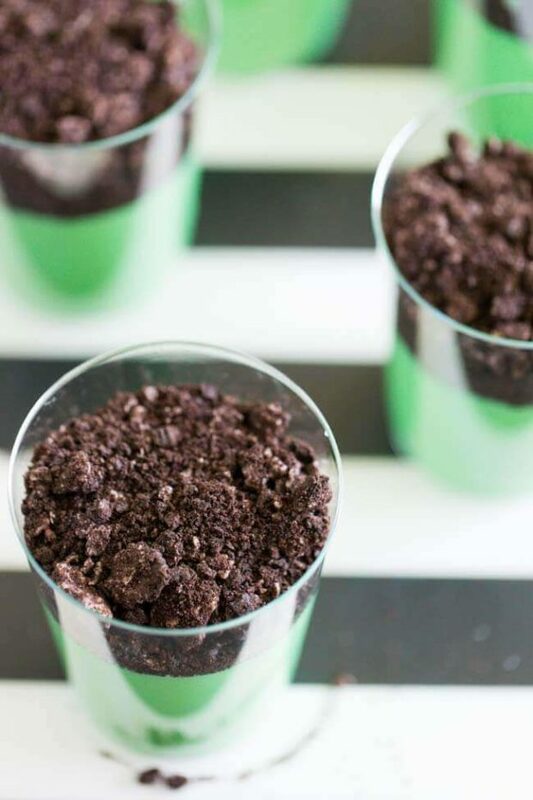 They make a fun after-school snack or a great ending to dinner. What makes them even sweeter is using quality Imperial Sugar. They have been producing sugar since 1843 so you know they know their business. 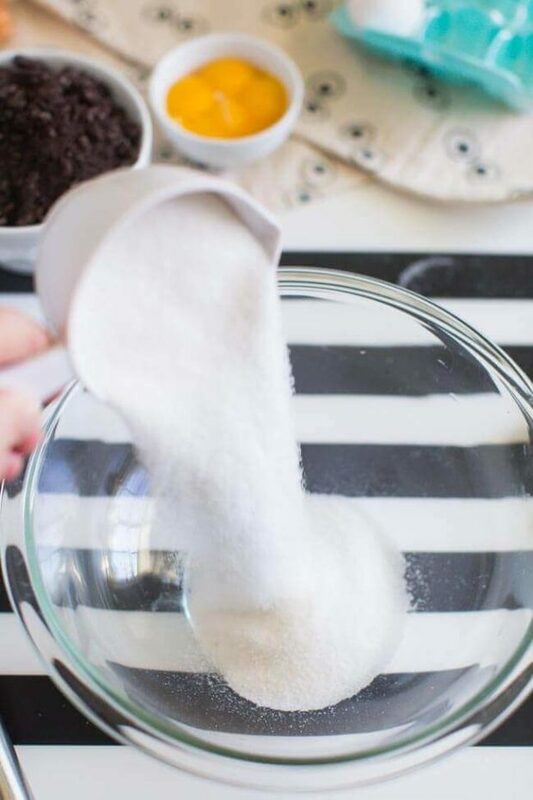 Granulated, powdered or brown sugars, cane syrup, liquid sugar or molasses, sweetener alternatives or specialty sweeteners, Imperial Sugar produces the sweetener you’re looking for. 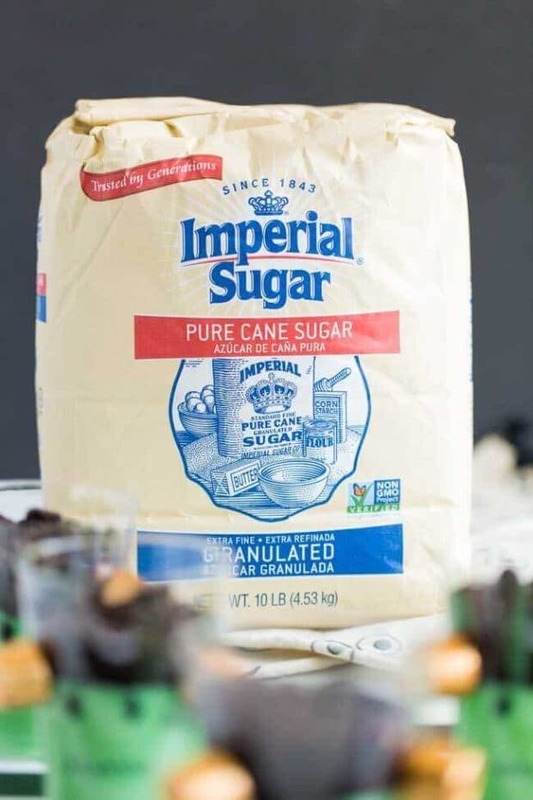 And Imperial Sugar Company uses only 100% natural, non-GMO, OU Kosher certified and gluten-free cane sugar in their products. They are committed to quality and food safety. 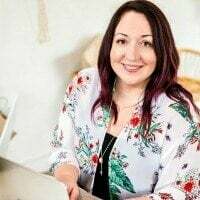 None of the eight major food allergens listed on the FDA’s major food allergens are stored processed, or used on site at Imperial Sugar facilities so concerned moms never have to feel spooked about “what’s in there?”. Using clear plastic cups and a black marker makes the transformation easy. 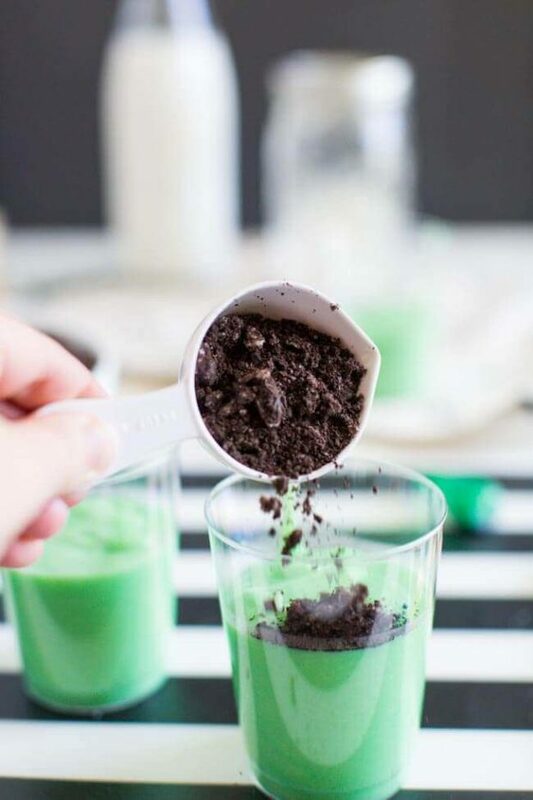 And of course, filling them with green pudding works some kind of magic! I eyeballed where I thought I would fill the cups to and did my “art work” before I added the pudding. As you can see, I placed the eyes about halfway on the cup and used that as my guideline for adding the mouth and hash marks for the bandage illusion. Then I poured the pudding in and added the crushed cookie-hair. I glued the “bolts” on last of all. Won’t the kids be surprised when they get home and see Frankenstein and Supermom waiting for them? Fluff your cape and smile. 1. To make the pudding, heat 4 cups of milk in a medium saucepan over medium heat until it begins to bubble around the edges. 2. In a large bowl or batter bowl, whisk sugar, cornstarch, and salt. 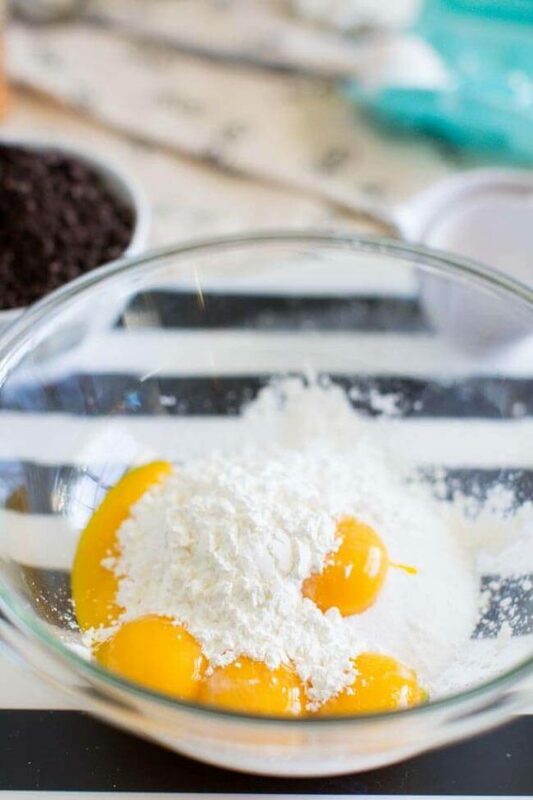 Whisk in the egg yolks and 1/2 cup milk. Whisk until pale yellow in color. Use a ladle to add one ladle of hot milk at a time, whisking constantly. Slowly add half of the milk mixture. 3. Carefully pour the egg mixture into the saucepan. Cook over medium heat until it comes to a bubble, whisking constantly. Cook for an additional two minutes. 4. Remove from heat and add vanilla. Strain through a sieve to catch any cooked egg pieces. 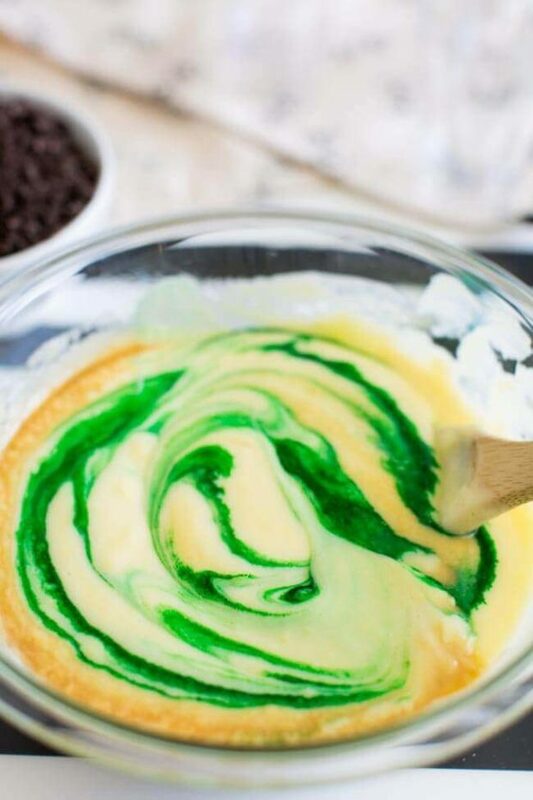 Add green food coloring. 5. Divide pudding evenly among cups. 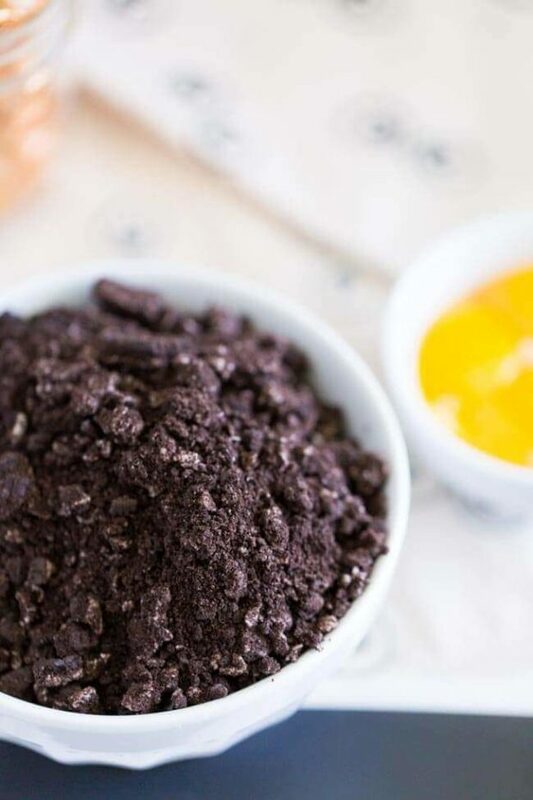 Top with crushed cookie crumbs. Use a marker to draw on face and stitches on forehead. Use glue gun to glue caramel candies for plugs. Cover with plastic wrap and chill in fridge until ready to serve.